True Bias paper patterns have arrived in the UK, and we have them at Backstitch! 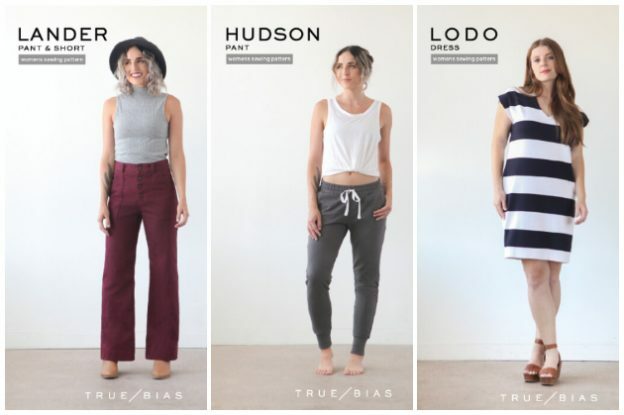 We have been eagerly anticipating the patterns' arrival since before Christmas, and they took some finding when they got lost in customs, but here they are at last - the True Bias Lander Pant and Short, Roscoe Blouse and Dress, Lodo Dress and Hudson Pant. The Lander Pant pattern has a high waist and button closure, with front and back patch pockets and belt loops. The trousers can be either ankle length or boot length, to wear with a heel. Recommended fabrics for these are medium to heavy bottom weight fabrics with little to no stretch, such as twill, linen, corduroy and denim. 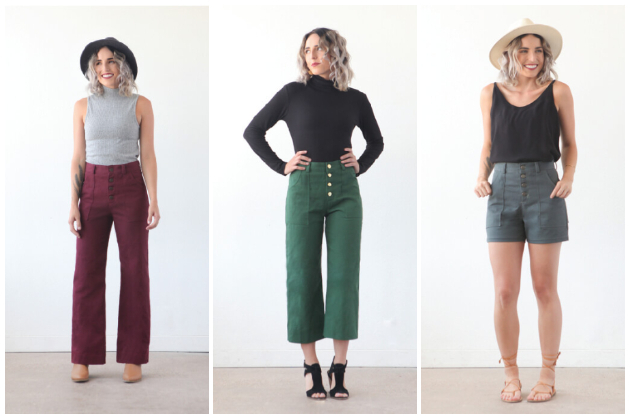 For inspiration, there are loads of examples of Lander Pants that have been made up in the bloggy world - a couple of nice examples can be found at What Katie Sews and Marilla Walker. 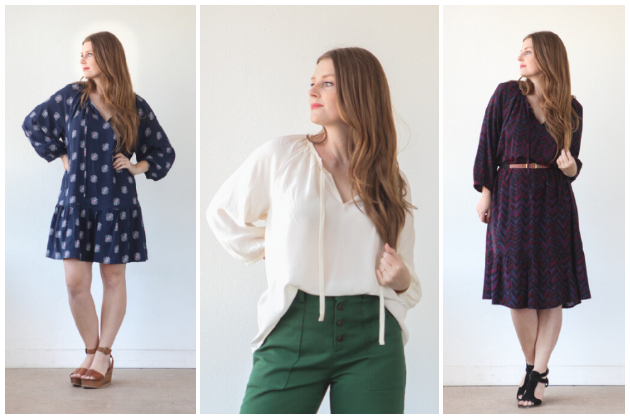 The True Bias Roscoe Blouse and Dress is another lovely pattern. It's a boho-inspired garment with a gathered neckline and raglan sleeves, and two dress length options. Suggested fabrics are lightweight, woven fabrics with movement such as cotton voile, rayon challis, crepe de chine, lightweight linen, and gauze. Atelier Brunette's cotton gauze Terrazzo Night or Terrazzo Shell would be stunning. 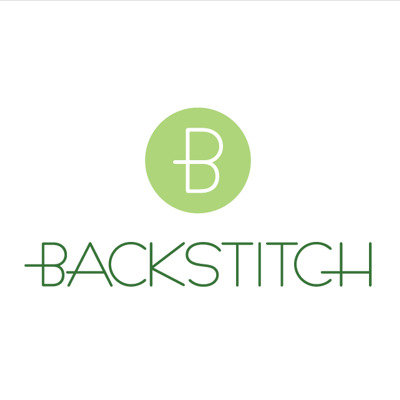 The other True Bias paper patterns available at Backstitch are the Lodo Dress and the Hudson Pant. Both these patterns are designed with comfort in mind. The Lodo Dress is an elevated take on a basic t-shirt dress, with a straight fit through the waist and hips and a slightly tapered hem to create a subtle cocoon shape. The Hudson Pant is comfortable enough to wear around the house, but can easily be dressed up to go out in. The urban fit of these pants leaves a bit of extra room around the hips and then tapers into a skinny leg.